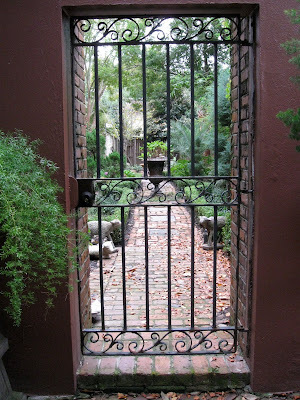 The background for Savannah’s exhilarating mix of history, art, and tourism is definitely green. Even in late November when my husband Walter and I visited this Georgia tourist mecca, the city’s historic district was lush with green. The photo above is one of the 22 squares that are part of the original design of this city founded in the 1700s. 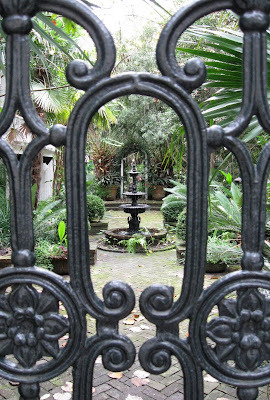 Glimpses of small private gardens offered a fascinating counterpoint to the public squares. 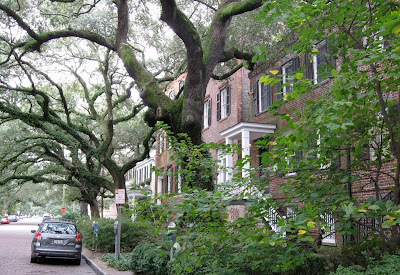 The green of Savannah seems as anchored in time as the structures in the historic district. 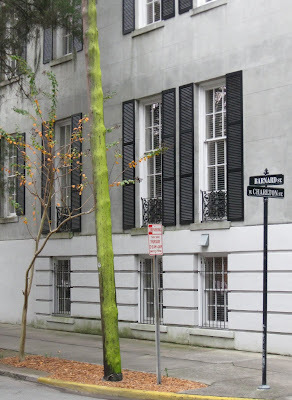 At least one of these townhouses above was constructed in the early 1800s. Maybe all were, but I didn’t check the plaques on each of these houses on Jones Street. The oaks and shrubbery on this block have that long-established look quite different from the manicured landscaping typical of new residential construction. 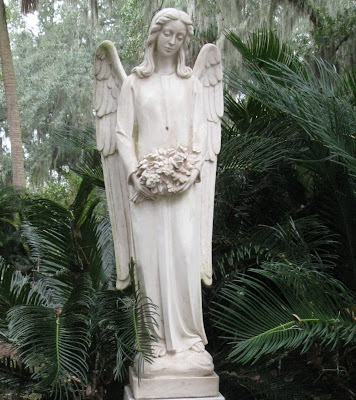 That same timelessness marked the sago palms, oaks and other mature plants that framed picturesque grave markers in the city’s historic Bonaventure Cemetery. 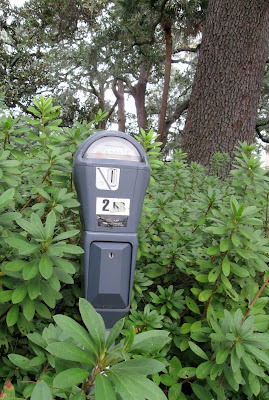 Savannah’s abundance of green even gives a distinctive look to urban necessities such as parking meters . . .
. . . and utility poles. 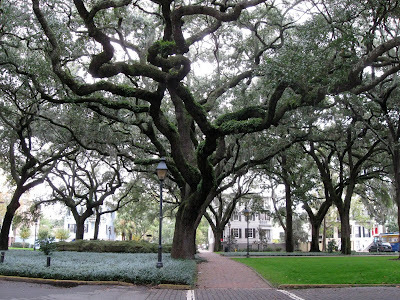 my parents are buried in the new part of bonaventure, my home is Savannah. i have other family buried in bonaventure.